The Telecom authority discussed the feasibility, regulation and security of in-flight internet and mobile communication services onboard Indian airline carriers. The consultation paper on In-Flight connectivity was floated back in September. The Telecom Regulatory Authority of India conducted an Open House Discussion on the Consultation Paper for In-Flight Connectivity onboard Indian airline carriers. The public meeting of stakeholders was held at New Delhi’s India Habitat Center to discuss the policy, security and licensing issues related to providing internet and mobile communication services onboard Indian airlines in the Indian, as well as foreign airspace. Currently, no Indian airline carrier provides internet or mobile communication services on domestic flights within India. TRAI’s open house on In-Flight Connectivity (IFC) started by asking the basic question of which services should be allowed onboard Indian airlines. The options include - Internet services, Mobile Communication Services (MCA Service) as well as a third option to pick both internet and mobile services. Wireless broadband connectivity coming to the Moon? The Open House on In-Flight Connectivity also deliberated on questions such as - “Should the global standards of AES/ESIM be mandated for the provision of AMSS in Indian airspace?”, “If MCA services are permitted in Indian airspace, what measures should be adopted to prevent an airborne mobile phone from interfering with the terrestrial cellular mobile network?”, "Do you foresee any challenges if the internet services are made available ‘gate to gate’ i.e. from the boarding gate of the departure airport until the disembarking gate at the arrival airport?”, amonst others. TRAI also discussed spectrum rights and licensing provisions for the operation of mobile services in the air. The telecom regulator added that there are several international players also who have expressed interest in the provision of in-flight internet services in India. The Open House further discussed the feasibility of the creation of a separate category for IFC Service Providers to permit IFC services in the Indian airspace, on airlines registered in India. "As technologies to provide access have developed, so too have consumers’ expectations. They desire seamless connectivity regardless of their location - whether on land, in the air or on the sea," said Sharma in conclusion. 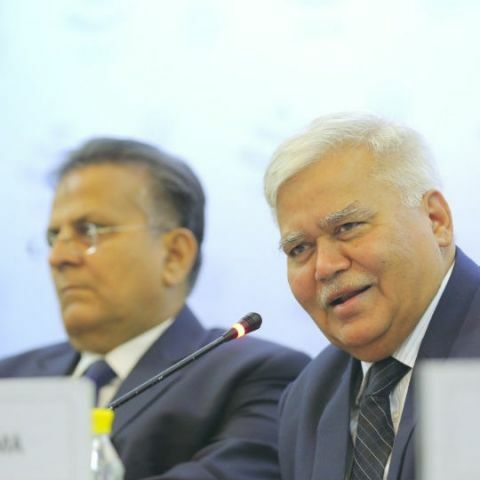 Comments from the Open House will soon be made public by the TRAI. Which app is best for flights reservation in IOS?